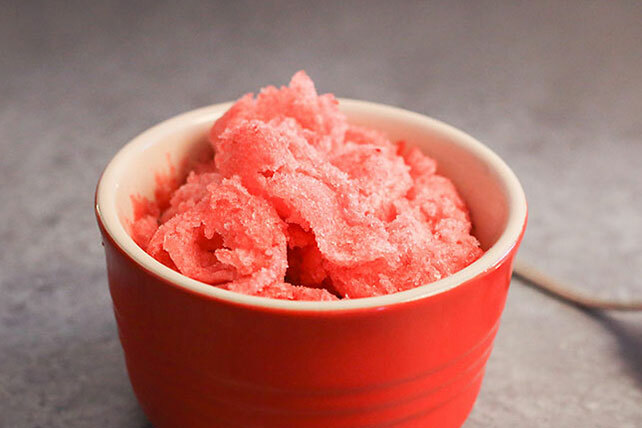 Sparkling wild berry gelatin, strawberries and club soda form the base of this frozen dessert. Add boiling water to combined dry gelatin mix and sugar in medium bowl; stir 2 min. until completely dissolved. Add strawberry purée and club soda; mix well. Pour into 9-inch square pan. Garnish with fresh strawberry slices and mint sprigs just before serving.